The Greater Charlestown community came out in force in August to continue the transformation of Pit Pony Park in Kahibah. The Kahibah community and local public school have been working for more than four years to improve the natural habitat of this once bare suburban park and transform it into an inviting environment for play and relaxation. The event saw community members working together to plant a row of advanced native trees that will provide shade in the park, as well as habitat for local wildlife. The new trees were planted into a raised berm which will help the trees thrive, and will also create a boundary, making it safer for kids to play ball games in the park. The event also celebrated the official naming of the ground as Pit Pony Park. 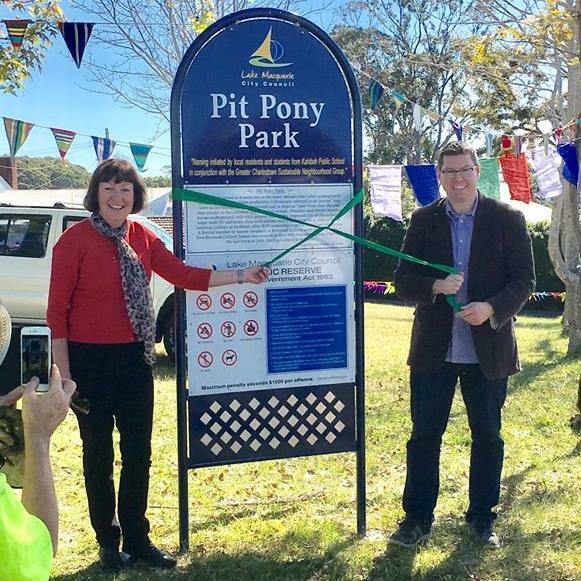 The name, which recognises the role of pit horses in local mining history, was successfully put forward by the Greater Charlestown Sustainable Neighbourhood Group after a naming competition run in conjunction with Kahibah Public School. The name was recently gazetted, after being approved by Lake Macquarie City Council in 2015. 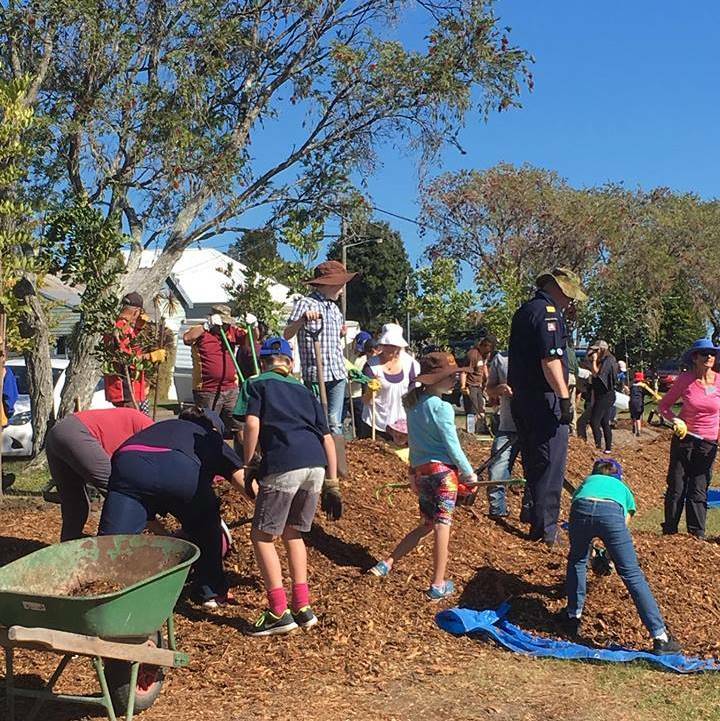 This has been a true community project, with input from the group members, Kahibah Public School and residents, to create a green space that is a recreational and environmental asset for the area, as well as being a cultural reference point to its mining history. Thanks to the Australian Government's Stronger Communities Programme for providing funding for this project. Mayor of Lake Macquarie City, Councillor Kay Fraser, and Pat Conroy MP helped mark the celebrations. Keep up to date with the Greater Charlestown Sustainable Neighbourhood Group on their Facebook page.